In the U.K. music scene ca. 1997, Britpop and trip hop were in descent in the eyes of the hype happy press with the rise of the various tendrils of what would be called electronica. That point was driven home with that year’s winner of the Mercury Prize, the award for best album of Irish or British origin as chosen by a crew of journalists, bookers and musicians. 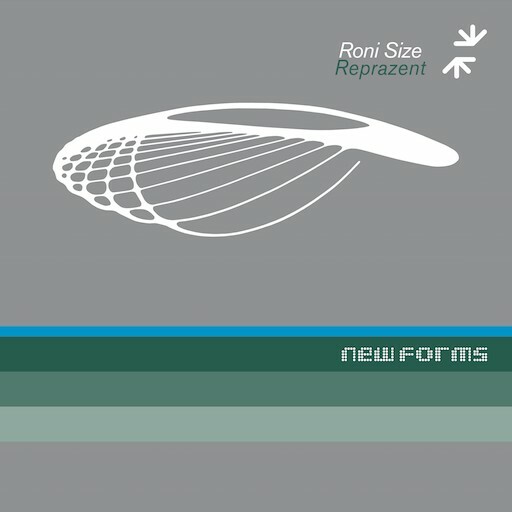 Beating out such acclaimed releases as OK Computer, Suede’s Coming Up and Spice Girls’ first full-length was New Forms, the debut album by producer Roni Size and his drum ‘n’ bass collective Reprazent. Looked at from the remove of two decades, it seems absurd that this genre was ever considered the next big thing in music. While its influence did creep into the work of mainstream acts like The Roots and Everything But The Girl, and eventually morph into the equally restive sound of footwork, drum ‘n’ bass was far too slippery and speedy to ever break through. But as one of the first full-length statements that the otherwise underground scene produced New Forms, recently released as a four-disc set to celebrate its 20th anniversary, the album remains a tonic and astonishing listen. That rings so true that the bonus discs on this become packing peanuts to protect the weight and fragility of the main statement. One is a collection of contemporaneous remixes from producers who, by turns, rejigger these tracks slightly or completely upend their original intent. Peter Kruder takes some gentle liberties, removing the jumpy tempo of “Heroes” and replacing it with a bossa nova rhythm and watery bass lines. House music legends Lou Vega and Kenny “Dope” Gonzalez, on the other hand, disassemble the breakbeats of “Watching Windows” and spend the better part of their 13-minute remix in Latin jazz mode. The last entry on that list was the most forward facing element of this stew through their use of standup bass (played by Si John) as the album’s engine. It’s the sound that announces the slow build of “Brown Paper Bag,” and its melody lopes through “Hi-Potent” with devilish intent. If they weren’t making their point loudly enough, they named one track on the album “Jazz,” to draw attention to its samples of piano and flute signatures braided through the song. That rubbery sound is what elevates this album but it’s the work of Onnalee and Dynamite MC that uphold New Forms. Their contributions are those crucial bits of welding that keep this chain of songs together. They both know to stay in a lower gear even when the music is ramping up in intensity. What could have been a diva play by Onnalee on the flickering “Heroes” is instead treated with a Nancy Wilson-like swing. At the same time, the even-tempered rhyming by Dynamite MC proves to be the ideal entry point on the album’s opening cut “Railing” as well as adding a eye to the storm of “Brown Paper Bag” on Size’s remixed version that kicks off the third disc. Size and his crew never could repeat the accomplishments of New Forms. Follow up album In The Mode showed a lot of strain and, for a single disc release, was surprisingly larded with filler. They even tried to re-edit the album for a 2008 release with diminishing returns. And the material they’ve done outside the Reprazent fold has been intermittently satisfying. Just like the attention drum ‘n’ bass received in the macroculture, the group had a brief blaze of genius before slowly cooling down over the next 20 years. The good news is that after all that time, New Forms still gives off a lot of heat.